What is special about the nine pieces is that they are all based on research carried out in Cambridge archives and it was this feature of the works that was really appreciated by those from the choir, called Dowsing Sound Collective, who gathered for the first recording session on Sunday 1st June . 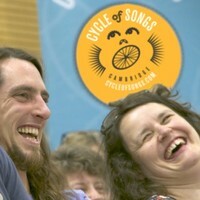 Dowsing Sound Collective are an impressive 120-strong community choir and they rehearsed and recorded a song entitled Reality Checkpoint - Parker’s Piece and aptly they will also perform at the Cycle of Songs live event on the 5th July at the Big Weekend on Parker’s Piece. After some setting-up, signing-in, and saying hello to each other the choir members steadily filled the school hall with an increasing energy. They began their rehearsal as the Cycle of Songs team ran cables and stationed themselves to document the event through footage, stills photography, and sound recordings. Very soon the hall rant out with the singing and music of the choir and the band, and after a few warm-up songs they started to sing the Cycle of Songs piece, ‘Reality Checkpoint – Parker’s Piece’ which celebrates the history of one of the city’s most loved public spaces, and explains that the land is named after a college cook, called Edward Parker. 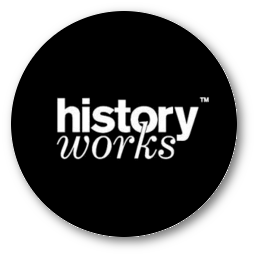 This piece was written, arranged, and composed by Andrea Cockerton, Choir Director of Dowsing Sound Collective, and is based on research led by Historyworks about the history of the land, the games and community activities played on Parker’s Piece from the seventeenth- century to the present day. The choir clearly took delight in voicing some of the city’s largely unknown stories and in the celebration of a place that most Cambridge people are familiar with, and chuckled along to lyrics about “treacle” for feasts and “sticky wickets’ for cricketers. Footage and photography from the afternoon rehearsal display how animated and enjoyable the day was for both choir, band, and production team. The recording session culminated in a playback of the final take, and as each of the soloists’ parts were played there were great rounds of applause. It was a communal and celebratory event that saw the Dowsing Sound Collective bring to life the historical research upon which the lyrics forReality Checkpoint - Parker’s Piece were based, establishing a creative and vibrant relationship between Cambridge’s past and present. The Dowsing Sound Collective, will next perform this piece live when they sing at the Big Weekend will be part of the launch for the free mobile phone app on 5th July that is being produced to accompany the project by showcasing all the songs, marking the route of the Tour de France when it visits Cambridge.